Legally dissolving a marriage is about to get much more difficult. Enacted by the Illinois legislature on August 17, 2018, the new law goes into effect January 1, 2019. Huge changes are pending for the Illinois spousal maintenance law, which is the formal term to describe alimony and spousal support. Section 504 of the Illinois Marriage and Dissolution Act (IMDMA) deals with the legal issue of spousal support after a judge grants a divorce. This is a dramatic turn of legal events for any couple currently involved in negotiating dissolution to their marriage. If maintenance has emerged as a significant factor in resolving your divorce case, then you should seek out the legal expertise of a licensed and experienced divorce attorney before the clock strikes midnight on December 31, 2018. Introduced by Democrat State Senator Michael Hastings of Tinley Park and Democrat State Representative Kelly Burke of Oak Lawn, the maintenance amendment written into the IMDMA will change the percentage that state law uses to calculate how much alimony must be paid annually. The amendment also includes a second big change: Family law judges will use each marriage party’s net annual income after taxes to calculate maintenance costs. The current calculation factors in each marriage party’s gross income. Any divorce entered into the legal system before January 1, 2019 allows the payer to deduct divorce maintenance costs when completing a state income tax form. 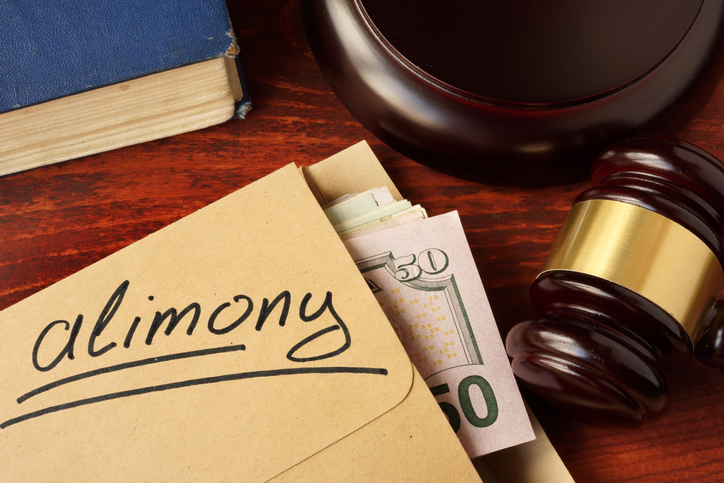 The spouse receiving alimony includes maintenance as income for state tax purposes. This means payers have received a healthy tax break that will suddenly disappear at the dawning of the New Year. There have been exceptions to the tax rule, since some couples in line for a divorce currently have the legal right to declare part or none of an alimony settlement to be tax deductible for the spouse paying maintenance costs. If you thought divorce was a sensitive issue before January 1, 2019, wait until the new amendment written into the IMDMA takes effect. On January 1, 2019, the spouse who pays alimony can no longer deduct maintenance costs on federal and Illinois tax forms. The recipient of spousal support does not have to declare alimony as taxable income. The loss of the tax break seems to negatively impact the spouse paying support costs, but both spouses will be hurt financially, especially if one spouse sits in a particularly high tax bracket. There will be less money to split in many divorces that receive court approval after December 31, 2018. Although the legal guidelines for maintenance after January 1, 2019 have been modified by the Illinois legislature, any court handling a divorce case must consider the following factors to remain consistent with Section 504 on the Illinois Marriage and Dissolution Act, which we list verbatim according to what is written in the IMDMA. What Do the 2019 Alimony Changes Mean for Married Couples? The IRS code has also changed the way maintenance costs should be handled by both parties seeking dissolution of a marriage. Spouses paying alimony will no longer be able to deduct maintenance payments from gross income on federal tax forms, as well as on Illinois tax forms. The million dollar question for married couples trying to agree on an amiable split is whether the new state and federal tax changes will alter the way they look at divorce proceedings. Since there is less money to split in a divorce, the changes written into Federal and Illinois tax laws will encourage both sides of a spousal dispute to fight harder to retain the same amount of money that was divided before January 1, 2019. Without a tax deduction, the spouse paying for financial support for the other spouse will want to give less money away in the form of maintenance. On the other hand, the spouse receiving alimony will want to wait until 2019 arrives to avoid claiming maintenance as part of his or her income. The new tax changes also place more pressure on judges to decide when to resolve divorce cases. 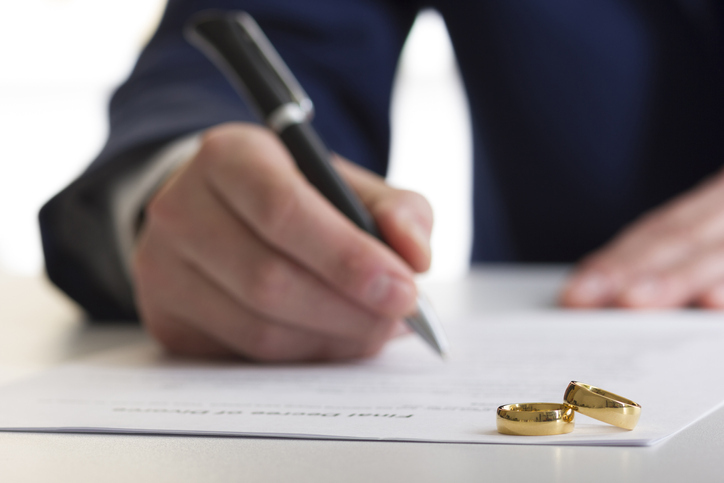 The dramatic and somewhat complicated changes made in handling alimony payments and compensation for tax purposes requires the legal expertise of an accomplished divorce lawyer. If it appears you are the spouse that will make maintenance payments, you definitely want to resolve your divorce case before January 1, 2019. On the other side of the legal coin, recipients of maintenance after December 31, 2018 will want to wait until the clock strikes midnight before trying to settle a divorce case. If you have any questions. Please Contact us today to schedule a consultation to discuss your case. Finding an experienced and knowledgeable divorce attorney can be a difficult task, and that’s as true for Illinois divorce as it is anywhere else. The issue is often compounded by a lack of knowledge regarding how to locate lawyers and what kinds of factors you should keep in mind while doing so. Let’s take a look at some tips to remember when you’re searching for a quality divorce lawyer to help with your case. There are a few different ways to go about this process. You could always use the “yellow pages” of your phone book(if you still have one), for example, and just look up “Illinois divorce attorneys.” But while this will likely get you someone with a license to practice, it is unlikely to land you the best option for your specific needs. Instead, you might consider asking for referrals instead. These can be from friends or family if you feel comfortable asking them. If you go this route, ask the person offering the referral why they’d recommend the firm and how their case went. You’re looking for someone who went through an experience similar to yours and found the lawyer in question knowledgeable and helpful. Another good option to consider might be to speak with an attorney you trust. This doesn’t have to be a divorce attorney, of course – it can be any type of attorney. Ask them if they have time for a consultation and talk to them about what you’re experiencing and the kind of representation you’re seeking. They might be able to refer you to a divorce lawyer that can fulfill your requirements. If you aren’t comfortable with either of the above options, that’s okay! You can also take a look at online attorney directories. These directories are designed to provide potential clients with as much information about qualified attorneys as possible. Some of them, like Super Lawyers, are comprised from peer-ranked lists that can help you find reliable options. After following the steps above and finding potential divorce attorneys for your case, it’s a good idea to whittle that down to a few attorneys which whom you’d like to meet. You can do this by raising your expectations a bit and looking for specific information. You’ll want to ensure that the individuals on your list are registered with the Illinois Bar Association and are in good standing. You might also look at who endorses the lawyers in question. You can often find this information by visiting their websites, which is something you should do anyway to take a look at their education, professional credentials, and accolades. Finally, it’s time to schedule appointments and start meeting attorneys. Note how quickly they respond to your request for a consultation as well as how easy (or difficult) it was to contact them. You’ll want an attorney who is there for you and able to devote time to your case. Talk to them frankly about your specific situation, your goals, and your concerns. Gauge their reaction and experience as well as their personality. Do you like working with them? Remember that you’ll be spending a decent amount of time communicating with them and choose accordingly. Are you looking for an experienced divorce attorney who can help you with your case? The experts at Abear Law Offices can help! Contact us today for more information.